When it comes to beauty tips and tricks everyone has the solution, but very few have been able to figure out how to erase the signs of stress from our face. Anxiety, lack of sleep and exhaustion are the three deadly sins when it comes to beauty. Fortunately, there are ingredients like glycerin, salicylic acid and glycol that fight stress from our skin cells and bring them back to life. 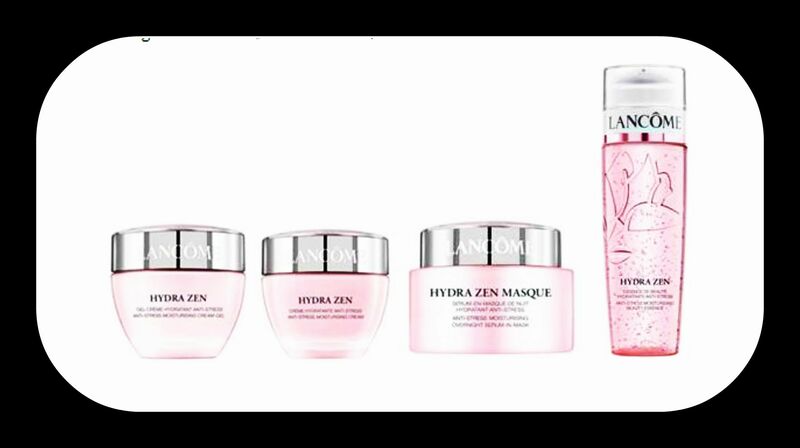 I tried Lancôme’s new Hydra Zen Anti-Stress Moisturizing Collection and loved it. Hydra Zen is all about water and hydration because that’s what keeps our skin healthy, young, fresh and awake. Designed for women (most of us) that don’t drink enough water during the day. This collection retains moisture and gives you 24-hours of protection. Lancôme understands that women today are busy, running around, working, taking care of kids and doing it all. We are tired! That’s why they developed this Hydra Zen Anti-Stress Moisturizing Collection to regenerate cells quickly and delay the signs of aging. Give it try, you’re going to see the results in about two weeks.